If you’re due to appear in court then the more preparation you can do beforehand, the less intimidating and stressful it will be for you. Remember that a hearing is not a full trial – it is usually more informal for one thing – so you will not have any verdicts returned against you and you will not be going to jail! Having said that, you may hear many conflicting stories about experiences other people have had in court and this may only add to your anxiety. Some attorneys you hire may even seek to foster this anxiety to give you the idea that you really do need their services. In some cases this is true, but in others it is perfectly possible to represent yourself at a hearing if you follow the right etiquette. To get a better idea of what to expect in a court room, it’s a good idea to go and visit one in advance of your hearing date. This means you can see how people act, how they dress, how the judge acts and how things proceed. This will make you feel more comfortable on the day because you’re no longer entering uncharted waters. Have a look at your local county court website to see if any information has been posted specific to the judge that you have been assigned. It could be useful to learn what kinds of hearings they usually do. The website may also include more useful general information relating to the court itself, so it’s well worth checking it out before the day of your hearing. 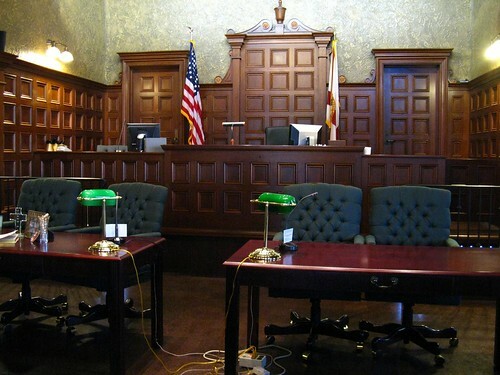 Before your case is heard, make sure you’re fully aware of all courtroom etiquette relating to behavior – particularly the respect that should be accorded to the judge. On no account should you argue with or otherwise antagonise them as this could well see you held in contempt of court. You should follow their instructions at all times and conduct yourself respectfully. Bear in mind that a law enforcement officer will usually be present and any aggressive behavior will be treated very seriously. It is also important that you dress appropriately for court. Think about what you would wear if you were going for a job interview or an important business meeting: this is the kind of level you should be going. Don’t show up in trainers, jeans and a ripped t-shirt and expect the judge to look favourably upon you. At this point you should be trying to make as good an impression as you can. As with any important event, one of the best ways to stay ahead of the game is to set off earlier than you need to. This will ensure that even if there are any traffic hold-ups, train delays etc. you should still be able to get to court on time. If you’re late and rushing this will only add to your stress and will be frowned upon by court officials. For a hearing involving a relatively minor matter, you don’t necessarily have to hire legal counsel – you can simply present your case yourself. However, if you’re doing this then it’s even more important you research the rules properly. Never interrupt the opposing counsel for one thing, and you should also learn about the local rules for ‘meet and confer’. This is where members of the opposing parties discuss the case before going in front of the judge to see if they can come to an agreement. Make sure you properly understand your case. Even if you’re not representing yourself, you should be fully aware of all the allegations against you, their implications and the possible outcomes that could arise from these. This way it won’t be a shock if the case is dissolved, if you are encouraged to settle terms or if it actually goes to trial. Once the hearing is over you should obtain a copy of the minute order and transcripts for your own personal records. Also, don’t forget to take a notebook with you to record anything important that happens or is said during the course of the hearing. You may need to refer back to this at a later date. Summary: The more preparation you do before your court hearing, the less stressful it will be for you. To do this, research court etiquette, visit the courtroom in advance and make sure you know the full details of the charges against you, as this article discusses. An article by Chris Jenkinson in conjunction with Nationwide Process Servers, a Company aiding the court process.